Perspicacious social commentator Malcolm Gladwell, who seems to be so right about so many things, has ignited a bit of a firestorm over his recent comments about twitter and other social media playing an inconsequential role in the recent Egyptian uprising. Barely anyone in East Germany in the nineteen-eighties had a phone—and they ended up with hundreds of thousands of people in central Leipzig and brought down a regime that we all thought would last another hundred years—and in the French Revolution the crowd in the streets spoke to one another with that strange, today largely unknown instrument known as the human voice. People with a grievance will always find ways to communicate with each other. How they choose to do it is less interesting, in the end, than why they were driven to do it in the first place. 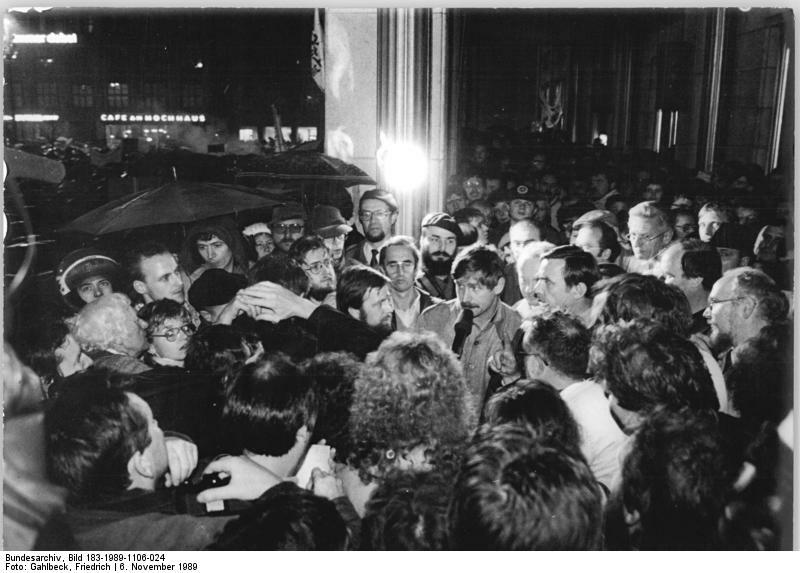 For me, that raises an interesting question: How different would the East German revolution have been today if, by some miracle, the beleaguered Socialist Unity Party had managed to drag along its decaying hulk for another generation? For starters, I imagine the social discourse and, ultimatley, the political coalitions that emerged would be considerably more diverse. For that matter, perhaps there would be considerably more buy-in among youth. Likewise, the median age of the post-communist government possibly would be considerably lower. Perhaps instead of a Christian Democratic government, a Social Democratic/Green coaliton would have taken the reins. Whatever the case, I think Melber is right: Social media fosters a deeper, more enriched understanding of the factors driving public events among participants and observers alike. But this is not only limited to current events. Just yesterday, the New York Times’s substantial coverage of the Met debut of “Nixon in China” sent me keyword searching on youtube for old newreel footage of the historic 1972 visit. I not only remember the event from childhood but also have read extensively about it. I recall reading how exhausted Nixon and his Chinese counterpart, Chou en-lai, were throughout the visit – the result of all those long hours spent consulting with each other and with staff as the historic Shanghai Communique was painstakingly fleshed out. Raw press footage of the visit, stored in the National Archives and posted by C-SPAN on youtube, drove home that reality, affording insight I never gained through reading. 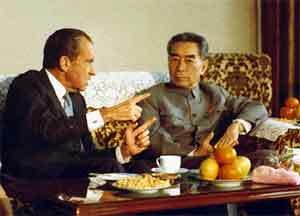 Meeting Chou one morning to begin the next grueling day of conferences and tours, Nixon pointedly asks the Chinese premier how much sleep he had gotten the previous night. Chou holds up a single digit. “One hour,” he replies sheepishly. The footage drives home an observation that Ron Reagan once shared based on close observation of his father and other immensely influential people: that they grapple with the same physical and mental challanges the rest of us do – overwork, fatigue, stress and, as was readily apparently in several instances in the raw footage, running out of appropriate things to say. In a sense, it worked to rob this grand event – for that matter all grand events – of the the sort of awe and mystery I experienced almost 40 years ago watching the grainy telecast of the Nixon visit on a black-and-white television in Julia Summerville’s fifth-grade class at College Avenue Elementary. Small wonder why social media are described as the transparent media.